Inherently flame retardant polyester fabric, brushed matte finish only on face side. 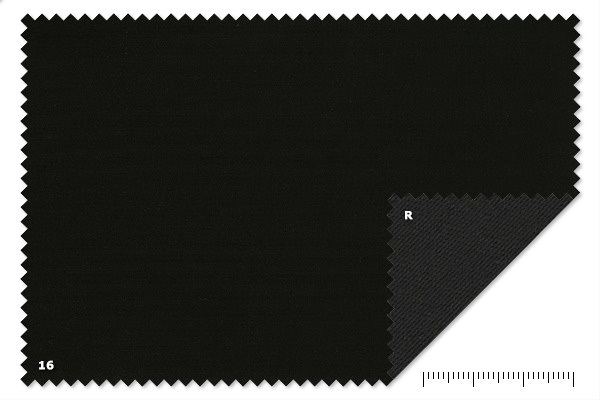 Versatile and durable, COT - Oscurante Molton CS is a permanently flame resistant fabric. The fire retardancy will last for the life of the fabric and will not dissipate after cleaning. Thanks to its opacity, it is used for masking and light-control applications: blocking, reducing, controlling light. It’s also suitable to reduce sound reverberation and to mask stage equipments in a theater or venue. COT - Oscurante Molton CS is commonly used for cycloramas, curtains, backdrops, legs, black boxes, sceneries. Widely used for rental drapes.